The person who picked this gift in the white elephant gift exchange said she just knew she wasn’t going to get to keep it. And she didn’t. If you know about white elephants, you know there is usually a fair amount of stealing from one another going on. 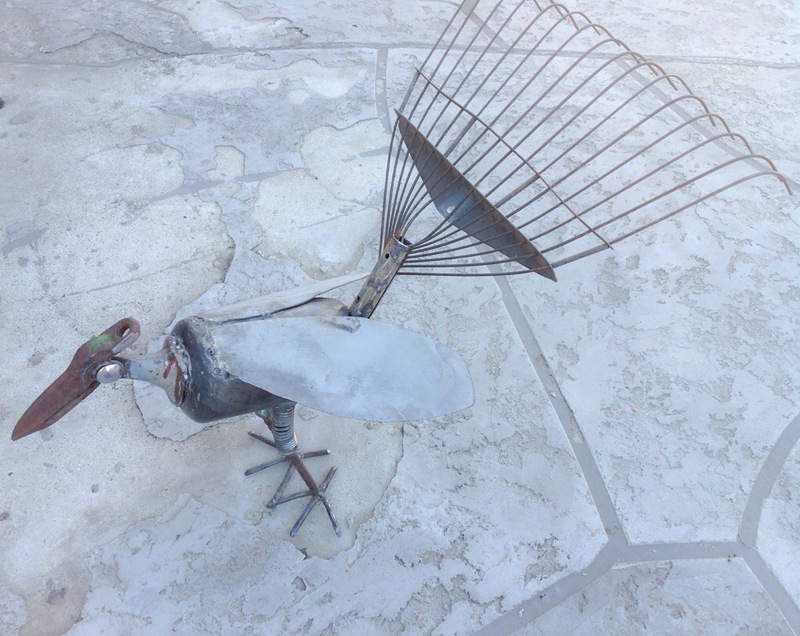 And Don’s creations are always favorites as are his grandson’s – artistic talent runs in the family. 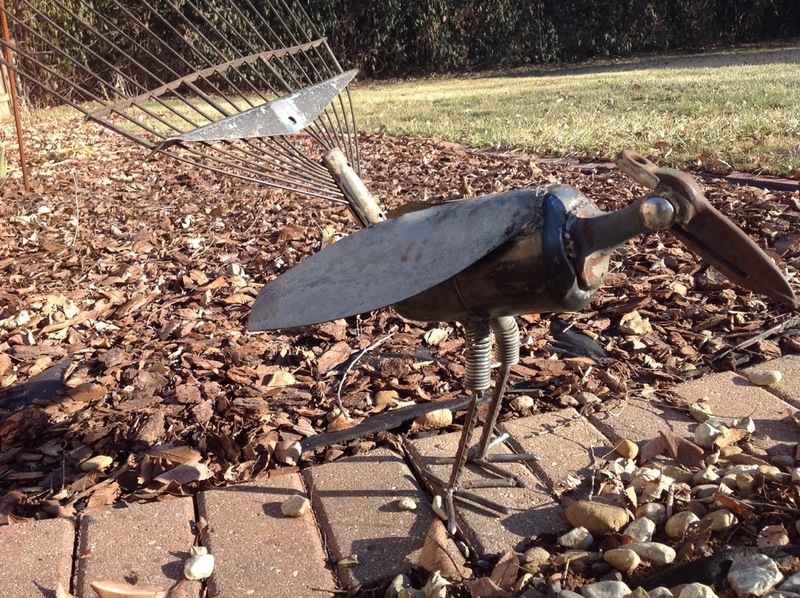 Don’s granddaughter was lucky enough to be the third steal, so it’s now in her garden patiently waiting for spring! 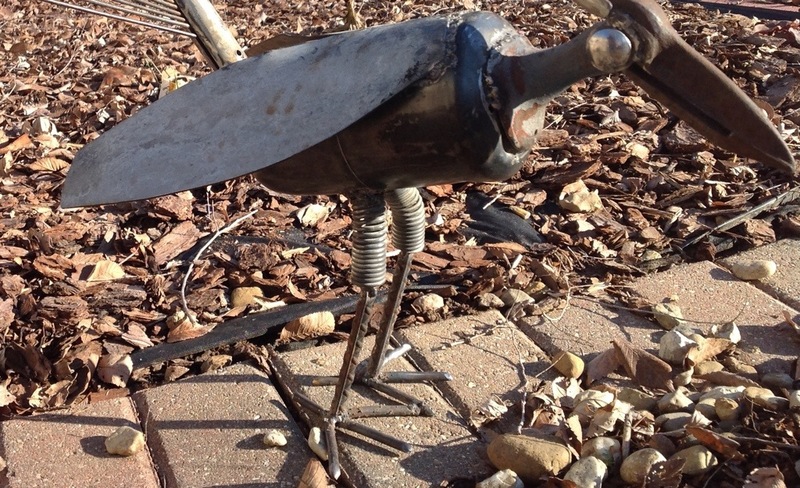 The third picture shows a closer view of the springs on the legs which make the bird mobile.